After Donald Trump’s disaster of a debate performance last week, you’d think he’d be happy to get any sort of positive press at all. But according to multiple people citing sources close to the campaign—Donald Trump is furious at being outperformed by Mike Pence. Given everything we know about Trump, it shouldn’t come as a surprise that an impulsive, insecure, and emotionally stunted narcissist would be livid that people think more highly of his supposed number two. And this certainly wouldn’t be Trump’s first attention-deprived tantrum. The Donald blamed the Castle’s slump on Ivana. He now began castigating her in front of the casino’s vice-presidents and managers as if she were one of the lowliest of the hired help. Author Harry Hurt wrote that “while The Donald ostensibly had an equal stake in the success of both his Atlantic City casinos, he clearly intended to make the Plaza his flagship operation.” Even if that meant sabotaging himself in the process. 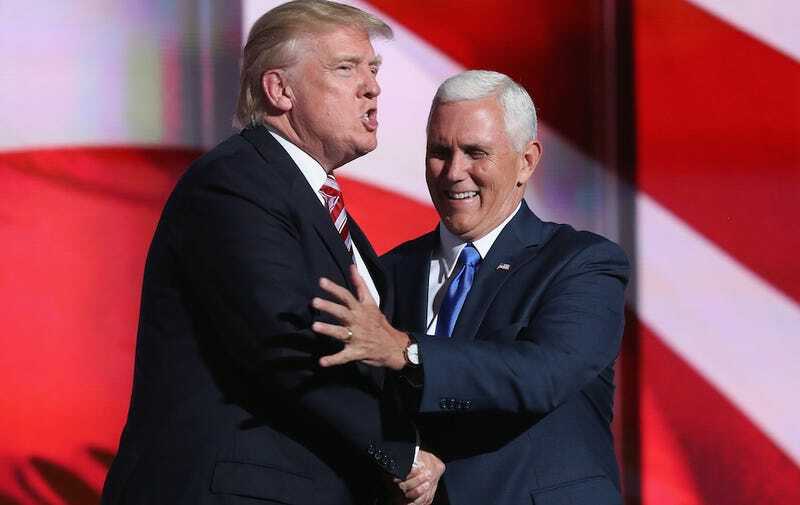 And there’s no reason Mike Pence showing Trump up tonight should be any different. After all, this campaign is the Donald Trump show. If Donald Trump can’t win, he’ll be damned if he doesn’t take every last person down with him.